Waooo .... Amazing collection Lagazeta, congratulations ! Incidently I was wearing this one today . 24h, Thunderdaddy, lagazeta and 3 others like this. The watch is vintage, unfortunately the hands aren't. RedFroggy and Thunderdaddy like this. capannelle, bpmurray, Avidfan and 3 others like this. I received the watch in the middle yesterday. I'm a sucker for these vintage diver Vostok Amphibians from the beginning of the 70's. The dial is rare with the cyrillic logo. The back of the watch is rare. It's got the old balance with the weights on the balancewheel. It's beautiful! 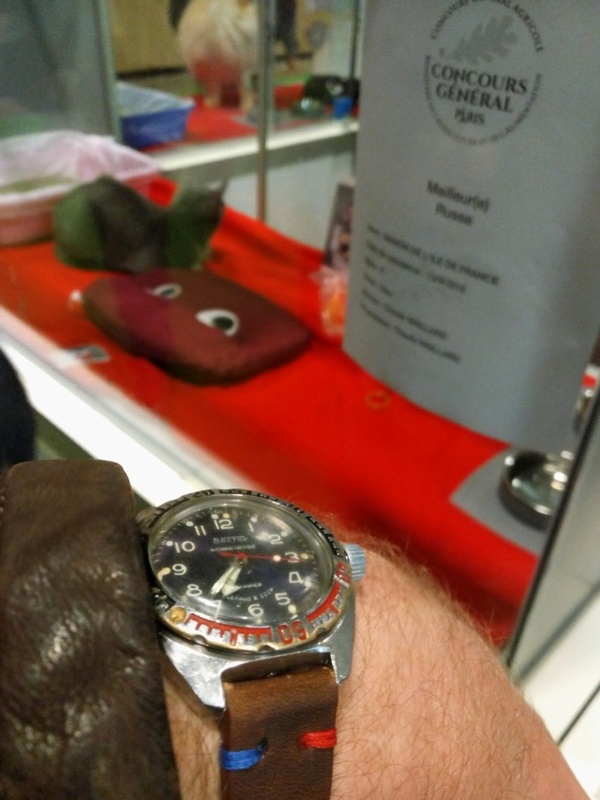 The watch loses about 5 minutes in 24 hours but it's also almost 50 years old. The watch is originally from Scnurrp's collection. Last edited by dinkan; March 7th, 2019 at 14:14.
haha, RedFroggy, Avidfan and 5 others like this. RedFroggy, elsoldemayo, Thunderdaddy and 2 others like this. elsoldemayo, frenchtreasure, bpmurray and 8 others like this. Really like those sector dials. Here's mine. RedFroggy, miquel99, Thunderdaddy and 2 others like this. Thunderdaddy, miquel99, Avidfan and 1 others like this. lagazeta and JonS1967 like this. Seikogi, Thunderdaddy and JonS1967 like this.